DAVID LE/Staff photo. 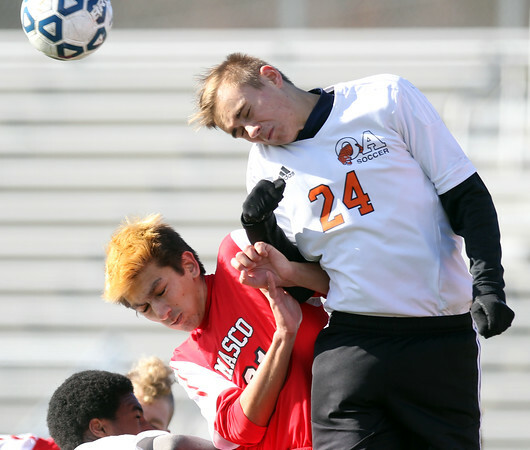 Masco senior striker Blaise Romanowski (31) battles for position with Oliver Ames sophomore Cam Vella (24) on a header. 11/21/15.